So I bought this awesome bust from Home Goods a few weeks ago and instantly knew that gold just wasn’t the color for me! I have few other busts that I have always wanted to repaint and just never did so I thought this would be a good time to try it out. Some paint and a few minutes later and I think it looks instantly better! I should hopefully be doing a video this weekend showing how I do my painting for my props so be sure to keep an eye for that next week! Let me know what you think of the new paint job! Now I just need a large pedestal to put it on! 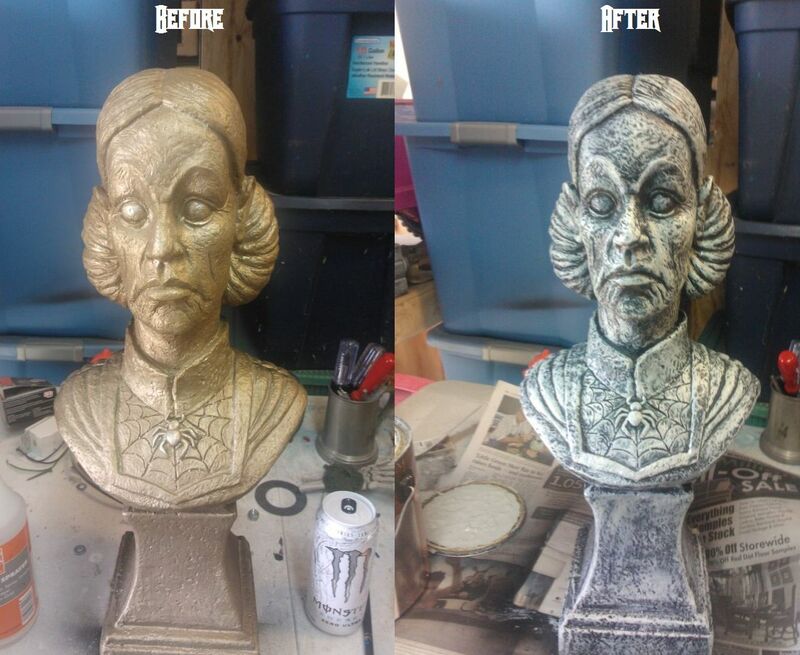 That looks really good, we have done a few faux finishes on some of our pieces at the Haunt.